Prominent & Leading Manufacturer from Mumbai, we offer modular case circuit breaker (mccb) and motor protection circuit breaker (mpcb). Leveraging on our vast industry experience and knowledge, we have reckoned as the manufacturer, distributor, wholesaler, retailer, trader & supplier of Modular Case Circuit Breaker (MCCB) Type. Broadly use in numerous industrial applications, our offered circuit breakers is provided in number of specifications as per the needs of customers. 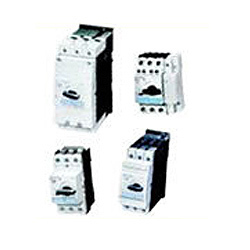 These circuit breakers are designed by professionals, who give surety to use top grade of material. 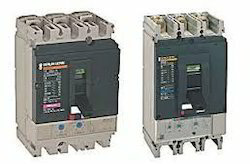 Moreover, patrons can avail these circuit breakers from us at nominal prices. With our immense domain expertise, we are committed towards providing a high quality array of Motor Protection Circuit Breaker (MPCB). The offered circuit breaker is perfectly designed with high quality of materials at our manufacturing unit. In addition to this, our circuit breaker goes through several tests under the direction of quality controllers just to ensure its quality before the delivery. Our clients have option to take this circuit breaker from us at reasonable prices. Looking for “Modular Case Circuit Breaker”?